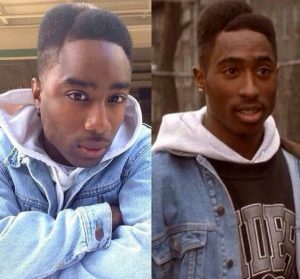 The Guy Playing Tupac In The NWA Biopic Is a Crazy DEAD RINGER! The actor is a dude called Marc Rose and we can’t wait to see how he plays Shakur in Straight Outta Compton, due out in theaters in mid-August. I'll cherish yesterday for the rest of my life. Sekiywa and QUEEN AFENI SHAKUR, Thank You! It’s uncanny, right? We all knew that Ice Cube and Dre and Suge Knight and Warren G and people would feature in the flick, but this is the first time we’ve heard confirmation that Tupac’s appearing.